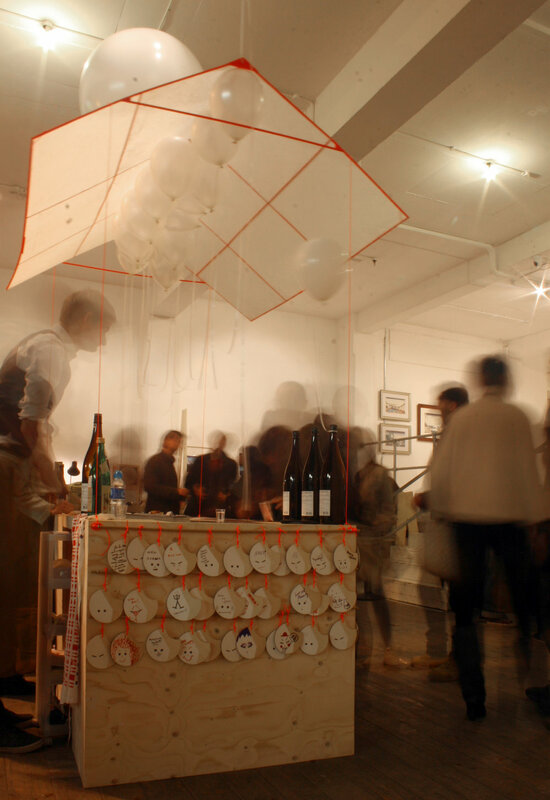 A two-week pop-up bar to accompany the travelling exhibition from Japan. The brief required it to reflect a traditional Japanese outdoor stall, but indoors. 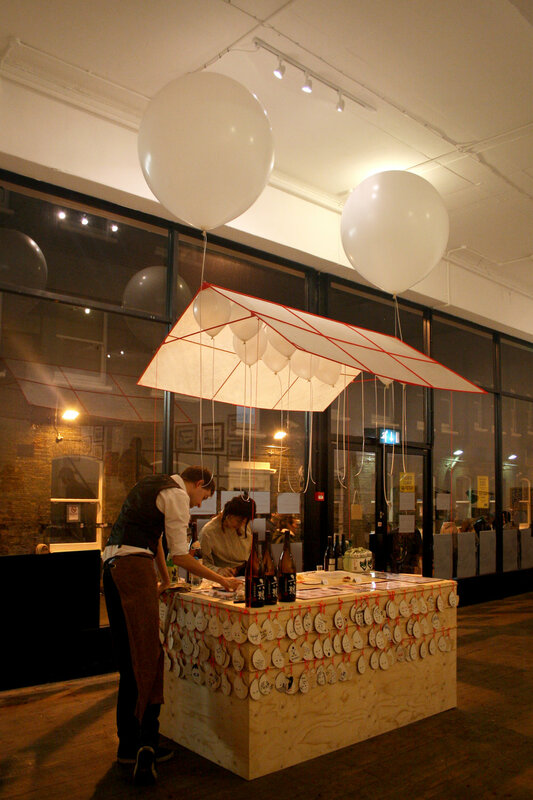 Re-intepreting the ukiyo-e ‘Floating World’ brief, we produced a 200 gram washi roof that floated, held by two helium balloons capable of lasting for the exhibition duration. This played with the inversion of inside-outside, presenting a magically hovering roof that gently swayed with the small indoor wind currents. 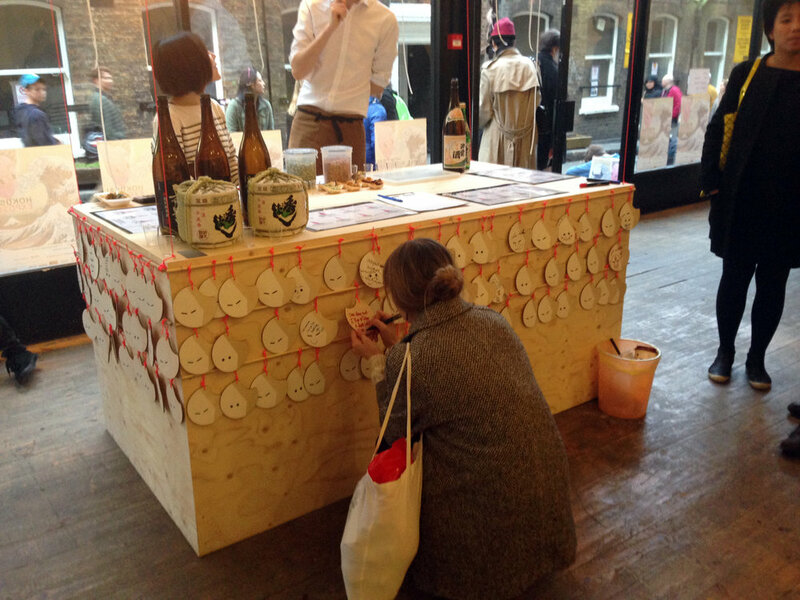 The audience engaged with their new sake experience, writing their wishes for the sake industry on the small wooden rice shaped ‘ema’ attached to the side of the bar. 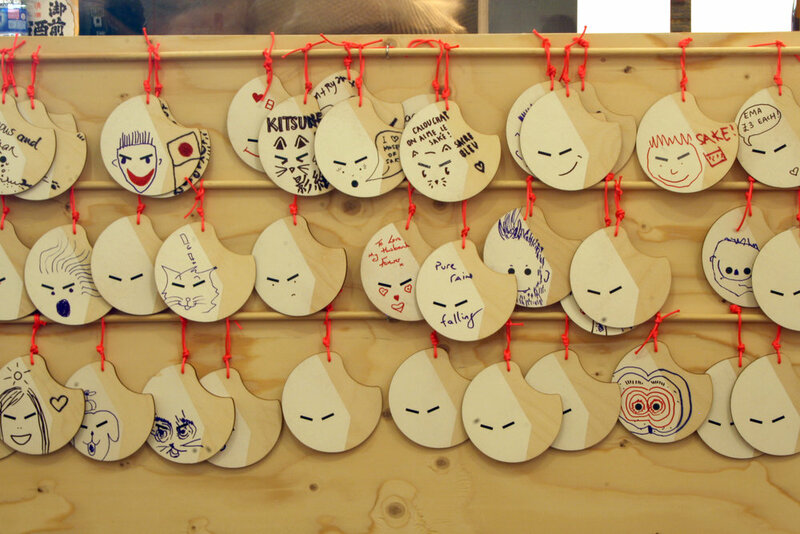 Here is a video of all the ema wishes we received by the end of the exhibition.